Uyen and Kahin weigh reagents as they concoct bacterial growth medium. 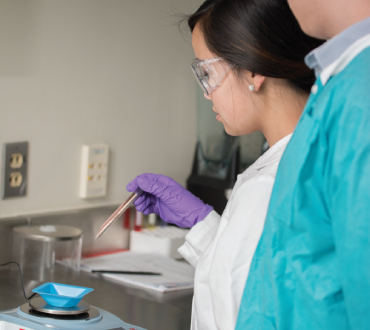 Our aseptic environment ensures there is no introduction of contaminants as we work with your samples. 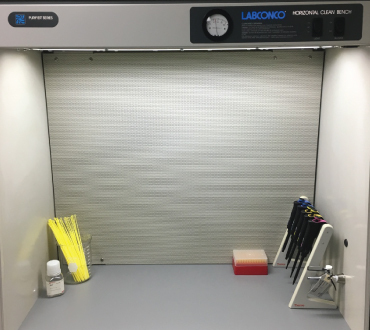 The Purifier Horizontal Clean Bench sterilizes the work area with ultraviolet light and cycles HEPA-filtered air to protect from airborne contaminants. 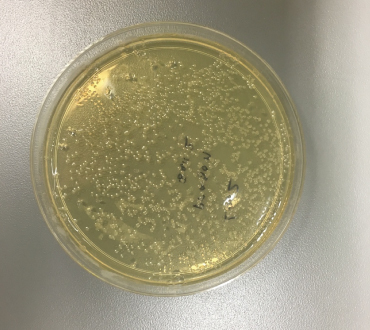 Bacterial colonies in a Petri dish.